With no official candidates in the election for Pope, the 115 cardinal electors would gather at the Sistine Chapel for the Papal Conclave 2013 which begins on 12th March. The closed-door conclave at the Vatican might continue for three days till new pontiff (Pope) is elected with the winner requiring two-third majority of votes(77 out of 115). From among the 115 Cardinals who are eligible to vote in the conclave, five cardinals representing India has reached Vatican to attend the conclave and vote for electing the Pope. 66-year-old Mar George Alenchery who is currently the Major Archbishop of Ernakulam-Angamaly diocese of the Syro-Malabar Church and 53-year-old Rev Dr Moran Mar Baselios Cleemis Catholicos, the head of the Syro-Malankara Catholic Church would add more pride to Kerala while the other Indian Cardinals Telesphore Toppo (Archbishop of Patna), Oswald Gracias (Archbishop of Mumbai), and Ivan Dias (Roman Curia) former Archbishop of Mumbai would also be a part of the conclave. Earlier Mar George Alencherry and Mar Baselios Cleemis had reached Vatican to attend the last speech of former Pope Benedict XVI. It is known that the Cardinals would return to Kerala only after the new Pope assumes charge. The new Pope would take charge before Palm Sunday (24th March) and would lead the Holy Week services. Here is the list of Papabile 2013 - Top contenders to be next Pope. The Papal election 2013 will have a detailed procedure as revised by Pope John Paul II who reigned during 1963 to 1978. The voting to elect the next pope will be held at the Sistine Chapel with secret ballots casted on the first day of the conclave. As per the revised procedure, cardinals under the age of 80 are eligible to cast their vote in the conclave. After the first round of voting, there will be a strong candidate who could gather more votes. But if he fails to gather more votes in the next two rounds which would be held during the morning and afternoon, the cardinals would go for an alternative candidate who could possibly gather more votes than the former. The voting prprocess will continue till a new pope gets elected. As the vote begins, the paper ballots in rectangular are distributed to the first nine voting cardinals, whose names are chosen at random. On the top half of the ballot, it is printed in Latin “Eligo in Summum Pontificem" ("I elect as the most high pontiff") and the lower half which is left blank is to write the name of the person chosen. After the ballots are filled out secretly, it would be folded twice. The folded ballot will be placed on a plate. After all the ballots got casted, the first scrutineer mixes them which are later transferred for counting. After reading the names, the votes are counted to see whether one has obtained a two-thirds majority needed for election. If no one gets the majority, the process will be continued immediately after the first vote. 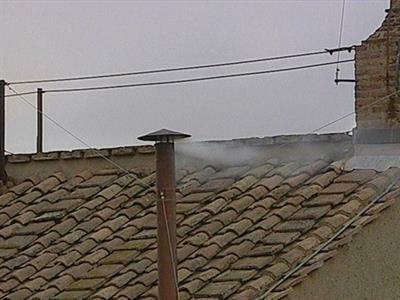 As soon as a new pope gets elected, the ballots are burned out along with chemical additives which produce white smoke indicating his selection while the ballots are burned with damp straw or other chemicals which would produce black smoke marking the process to be continued. Marthoman Jacobite Syrian Cathedral Church is located in the small village in Mulanthuruthy in the Ernakulam district of the state of Kerala. This is an ancient church and is said to been built in the 11th century AD and later modified in the 17th century. Velankanni church, located in Nagapattinam district is one of the top tourist centres in India. Read the history and details of velankanni church which has wonderful architecture built in gothic style captures all eyes of tourists. It is dedicated to Our Lady of Good Health. Velankanni beach, alluring shrine mega mahal, stations of the cross and historic church museum are some of the main attractions in Velankanni. Read this article to know about the history of Malankara Orthodox Syrian Church. It is the oldest Christian church in Kerala which is also the 1st in India and perhaps in the Asia itself. This is also like the history of the Christian community of Kerala. The Basilica of Our Lady of Dolours in Thrissur, Kerala natively called 'Puthan Pally', is the largest church in India. It's also the tallest church in Asia. It's located at Thrissur, the cultural capital of Kerala. You can read more about the church in the article. Watch Maramon Convention 2012 Videos Live online or watch the videos uploaded in websites and U Tube. 117th Maramon Convention 2012 will be held on the banks of Pampa river, just 20 km away from Thiruvalla. Some of the main speakers of 2012 Maramon Convention will be Bishop Malusi Mpumlwana from South Africa, Rev Martin Alphons from the US and Rev Kang-San-Tan from Malaysia. "Arise, let us be going" is the main theme of 2012 Convention.